A-7U Corsair II Jet attack aircraft under restoration. It may look like a fighter, but it's actually a potent subsonic attack aircraft, designed to take out ground targets. 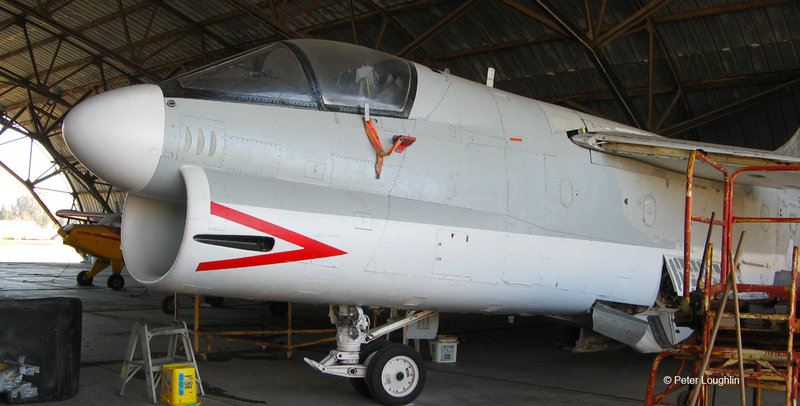 The A-7 is undergoing restoration inside the famous Butler Hangar. From Wikipedia: The Ling-Temco-Vought A-7 Corsair II is a carrier-based subsonic light attack aircraft introduced to replace the United States Navy's A-4 Skyhawk, initially entering service during the Vietnam War. The Corsair was later adopted by the United States Air Force, to include the Air National Guard, to replace the A-1 Skyraider, F-100 Super Sabre and F-105 Thunderchief. The aircraft was also exported to Greece in the 1970s, and Portugal and Thailand in the late 1980s. 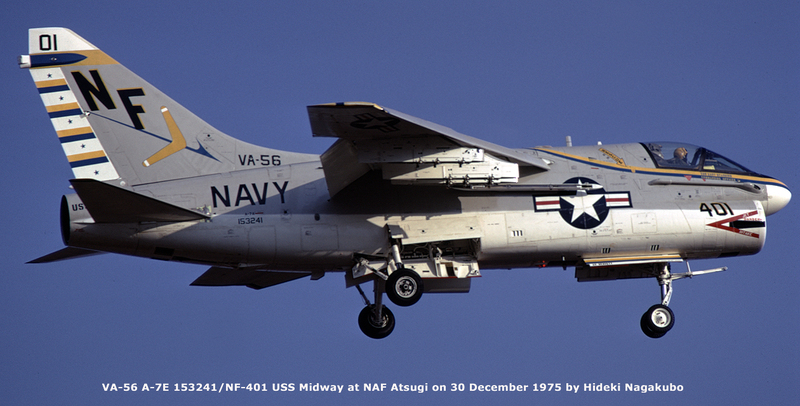 The A-7 airframe design was based on the successful supersonic F-8 Crusader produced by Chance Vought. It was one of the first combat aircraft to feature a head-up display (HUD), an inertial navigation system (INS), and a turbofan engine. learn more..